As the two-lane road in the French countryside headed uphill, Corey Posgay started pedaling as if he were wearing the yellow jersey in the Tour de France. In reality, he was piloting a stationary bike while he watched a video that followed the route of the famous race. Posgay was in the Las Vegas Convention Center at International CES to demonstrate the Mio Link, a new strapless heart rate monitor that lets users record and analyze their heart rate data. Using the collected information, they can fine-tune their workouts, whether they're training for an international competition or a run through a neighborhood park. The Mio Link records heartbeats with a watch-sized wristband rather than the more traditional chest strap. "People don't like chest straps," said Mio founder and CEO Liz Dickinson. "They learned the importance of heart rate monitoring but gave it up because it's uncomfortable." Using a Bluetooth connection, the Mio records and transmits heart rate data to an app on the user's smartphone. 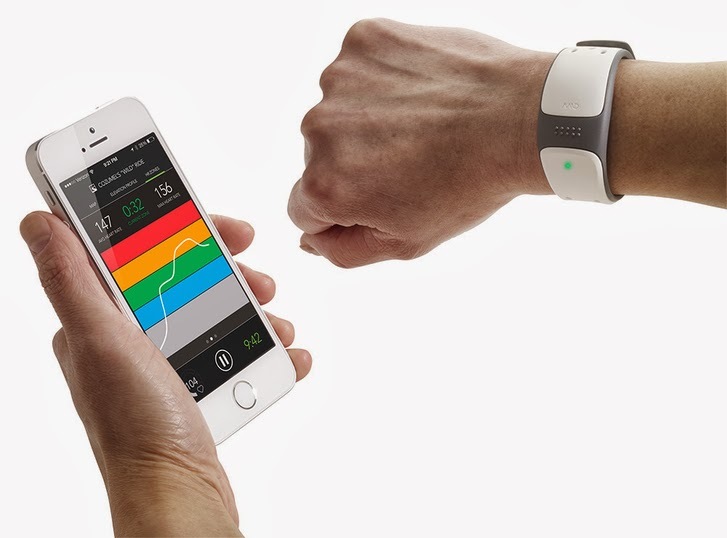 A colored LED light on the wristband gives the wearer an immediate indication of the zone their heart rate is in and the stored data can be compared to the workout route or routine. What's your heart doing when you're slogging up a steep hill or cruising on the flats? The Mio knows. The app also lets you download trip videos from around the world so you can jog along a beach road in Mexico or try that Tour de France route from the comfort of your treadmill or stationary bike. The Mio Link and app will be available in February for about $99 at www.mioglobal.com. Get a look at more new fitness monitors and devices from CES in my column at MyWell-Being.com.